I had one of the early purely modem devices for about 7 or more years now. I connected this to my Linksys router and I was set. The router is old and does not have all the features of modern routers but it worked. Did a house call the other day and saw that the person had the WIFI modem with their AVS setup. Then it occurred to me that I should switch out my modem for a WIFI modem. That way I wouldn't have to worry about buying a new router when it was time for that. Made some notes after setting up my device and I am sharing it on my blog here. I was told to skip the change password on first login prompt. Do it afterwards from the admin menu. I chose to not broadcast SSID. You will have to manually add your WIFI to your devices if you do this. This is an extra layer of security. I disabled 2.4 GHz. Reading that 5GHz gives less range but supports higher speeds and has less interference. Love that there is a guest network separate for visitors where I can set a timer. Discovered that there is nowhere to specify custom DNS. I can do that at the device level in Windows 10 for example if I really need it. What I will do with the old router? Probably use it for experimenting with various custom firmware like DD-WRT, OpenWRT, and Tomato - if they support my aging router. Read that MAYBE you can brick your device or not go back to stock with custom firmware sometimes. 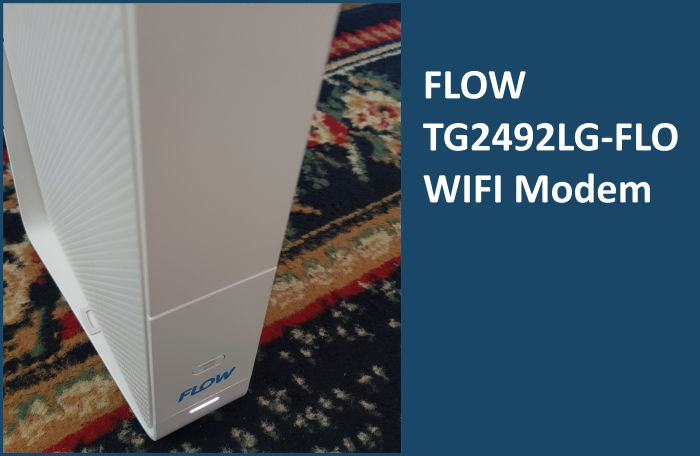 WIFI modem is behind Flow's NAT. I guess if you need a public facing IP on the router you have to contact Flow. There is a modem mode if you want your own connected router to be internet facing. I always enable MAC address filtering to only allow my devices. The branded settings UI is easy to use and simple and beautiful. Initial passwords for the router settings and WIFI are labelled on the device. It is recommended that you change these. Couldn't find a user guide online. Arris does not have one and says I need to contact the ISP. Maybe they should put a link to one or something. Hire me to do a video guide. You can restrict internet at certain times for certain devices. Maybe something for the kids. I disable UPnP because I don't use it and it feels more secure that way. There is an on/off switch at the back and a reset button. I don't know what the reset button does and you should probably contact your ISP before resetting. There are no QoS controls for you to adjust under settings. Share your thoughts and experience with us in the comments below.